I thought I had two yellow squashes growing in here. 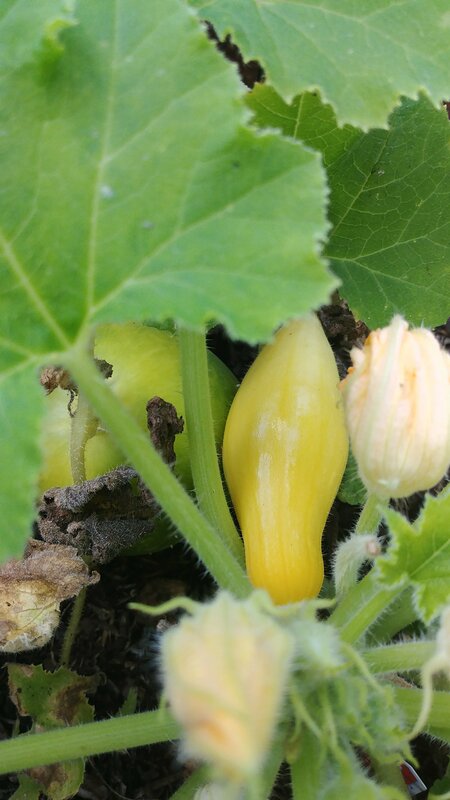 Instead, when I traced the great big one back to its vine, it looks like it came from the cucumber plant, and the little yellow one came from the squash plant! Can squash and cucumber cross? I didn’t even think about that when I planted these. This cucumber is huge! I guess we’ll find out when I cut into it and take a bite.